Where can you turn when Medicare won't pay? Medicare is not a one-stop shop. While it covers a wide breadth of services, it may leave you to fend for yourself when it comes to certain healthcare essentials as you grow older. For example, it doesn't cover corrective lenses (e.g., contact lenses or eyeglasses), dentures, hearing aids, or white canes for the blind. Certain medications are off the table, too, even if you have a Part D prescription drug plan. This is because Medicare does not consider these things to be medically necessary. Unfortunately, what they also do not see as medically necessary are custodial care and long-term nursing home placement. In the eyes of the Centers for Medicare and Medicaid Services (CMS), custodial care is care that does not have to be performed by a skilled or licensed medical professional such as a doctor, nurse, or therapist (e.g., clinical psychologists, physical therapists, occupational therapists, and speech therapists). Custodial care often includes assistance with bathing, cleaning, cooking, dressing, hygiene, and even walking or mobilizing. Unfortunately, many seniors in nursing homes are there for reasons of safety. 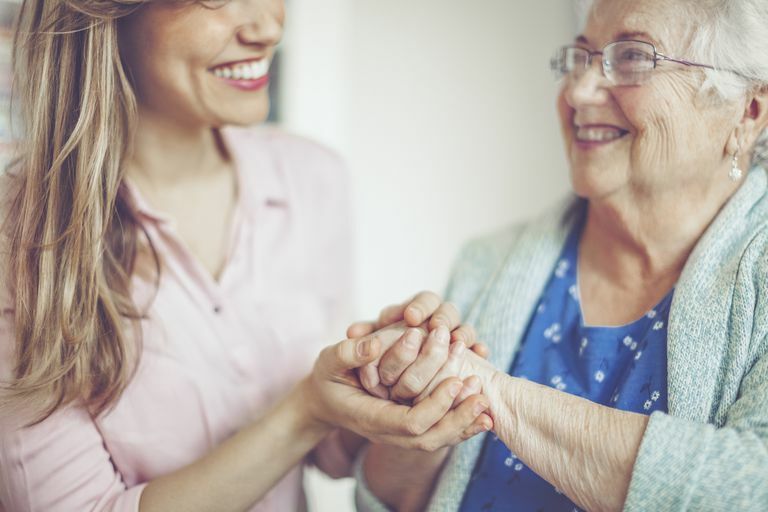 They are unable to live independently due to dementia or other medical conditions, and they may not have family or loved ones who can support them. According to the same HHS report, there were 1.7 million licensed nursing home beds available in 2014 and 1.4 million long-term residents in those beds. Looking closer, 16.1 percent of those residents were between 65 and 74 years of age, 27.2 percent between 75 and 84 years of age, and 41.6 percent 85 years and older. It is estimated that 10,000 baby boomers will turn 65 every day through 2030, and lucky for them, life expectancy is also on the rise. For 2014, life expectancy in the U.S. averaged 78.8 years, an increase by 9.1 years from 1960. The only problem is that living longer increases the odds of having multiple chronic medical conditions and with that comes an increased risk for debility. As of 2016, 54 million Americans are diagnosed with Alzheimer's disease and the number is projected to increase to 5.8 million by 2020 and 8.4 million in 2030. In fact, Alzheimer's disease and dementia already account for more than 50 percent of all nursing home admissions. When you consider these factors, more and more seniors are likely to need long-term nursing home care in the future. Nursing home care is not cheap. The average monthly cost in the United States for a shared room is $6,692 per month. For a private room, it is $7,604 per month. The average nursing home costs a resident $80,304 per year for a shared room and $91,248 for a private room. Those numbers can vary based on where you live. The five most expensive states are Alaska, Connecticut, Massachusetts, New York, and Hawaii, in that order, with some nursing homes in Alaska costing as much as $23,451 per month! The least expensive states for nursing home care are Oklahoma, Missouri, Louisiana, Kansas, and Arkansas, with average monthly rates in the $5,000s. To put this in perspective, the average payout for Social Security retirement benefits in December 2016 was $1,360.13 per month for a grand total of $16,321.56 per year. Based on these numbers, it is not surprising that few people can pay for nursing home care on their own. Where can people turn to get coverage for nursing home care? What are your options? It is not that Medicare does not pay for any nursing home care. It does pay for some, but only if you were recently admitted to the hospital and only if you require skilled care at least five days per week. Not only do you need to have been hospitalized to qualify for this Medicare Part A coverage, but you need to have been admitted as an inpatient for at least three days. Trickily, the day you are transferred to the skilled nursing facility does not count, and even more tricky is how CMS defines inpatient care. These days you can stay overnight in the hospital, but that does not mean you are an inpatient. Thanks to legislation put forth in October 2013, known as the Two-Midnight Rule, you may only be considered for inpatient care (care covered by Medicare Part A) if your stay is expected to last longer than two midnights and if your level of care is considered medically necessary. That means you cannot be in the hospital receiving care that could just as easily be administered elsewhere. Otherwise, you will be placed under observation, care that is covered by Medicare Part B. In the case that you do get approval for skilled nursing care, Medicare Part A covers the first 20 days for you. For days 21 to 100, you will pay $164.50 per day in 2017. After 100 days, you are on your own. Medicare only offers short-term nursing home care. That is why so many people turn to Medicaid. According to the 2016 Vital Health Statistics report, 62.9 percent residents in nursing homes used Medicaid as their payment source. Not everyone qualifies for Medicaid. Eligibility differs for children, pregnant women, and for other adults. States that expanded Medicaid under the Affordable Care Act opened eligibility to single individuals without children, whereas other states may exclude those individuals from coverage. Also, the program is intended for people with low income. Although when you think about it, few seniors will have much money in reserve after they start paying for long-term nursing home care. In terms of its financial requirements, Medicaid determines eligibility based on your monthly income and your assets. These assets include annuities, bank accounts, automobiles (excluding your primary vehicle), bonds, cash amounts exceeding $2,000, the cash surrender value of life insurance policies (applies to "whole life" and "universal life" policies, not term life policies), Keogh plans, IRAs, money market funds, mutual funds, pension funds, real estate (excludes your primary residence up to a certain value depending on the state), stocks, and stock options. Each state ultimately sets its own financial threshold for eligibility, but the federal government sets a minimal requirement for each state. You will need to look up requirements for your state to see if you qualify. Many seniors spend down their assets to qualify for Medicaid. Others try to protect their assets by transferring them to family and loved ones. However, be careful! Any transfer of assets within 60 months of your Medicaid application will be taken into consideration. Transfers that occur during this look-back period could result in penalties from Medicaid, potentially delaying your care coverage for months to years. It will depend on how much money you transferred and in what state you live. It is best to speak with an elder law attorney to discuss your options before you arrange for any transfers. It is possible to purchase long-term care (LTC) insurance to help pay for nursing home care. These insurance plans pay for 5 percent of nursing home coverage in the United States. LTC insurance can be helpful to have if you need care, but premiums tend to be expensive and out of range for many people. These premiums tend to get higher the older you get, especially if your health is on the decline. Individuals over 65 years old and who have chronic medical problems could see monthly premiums in the thousands of dollars. The insurance company can deny you coverage based on pre-existing conditions. Long-term care insurance generally works this way: You pay monthly premiums, and if you have a triggering event, i.e., something that requires nursing home or long-term home health care, you start to receive insurance payouts. Those payouts can be put towards those care specific services, but the amount of those payouts will be based on your specific LTC insurance plan. They may or may not cover the full cost of care, and the payouts may only last a certain length of time. Today we are living longer, and living longer means planning for the future. Odds are you will need long-term care in your senior years, whether that is in an assisted-living facility, a nursing home, or as home health care. Understanding your coverage options and how much they will cost will help you to make informed decisions that could decrease the burden on your loved ones. Alzheimer's Disease. Chronic Disease Prevention and Health Promotion, Centers for Disease Control and Prevention website. https://www.cdc.gov/chronicdisease/resources/publications/aag/alzheimers.htm. Published October 17, 2016. Deaths and Mortality. National Center for Health Statistics, Centers for Disease Control and Prevention website. https://www.cdc.gov/nchs/fastats/deaths.htm . Published March 17, 2017. Harris-Kojetin L, Sengupta M, Park-Lee E, et al. Long-term care providers and services users in the United States: Data from the National Study of Long-Term Care Providers, 2013–2014. National Center for Health Statistics. Vital Health Stat. 2016; 3(38): 1-118. https://www.cdc.gov/nchs/data/series/sr_03/sr03_038.pdf. Nursing Home Costs by State. SkilledNursingFacilities.org website. https://www.skillednursingfacilities.org/resources/nursing-home-costs/. Skilled Nursing Facility Care. Medicare.gov website. https://www.medicare.gov/coverage/skilled-nursing-facility-care.html. What Does a Nursing Home Pre-Admission Assessment Involve? Do You Need Hospice or Palliative Care?